The Huawei Honor 9 comes with a 5.15 inches LTPS IPS LCD capacitive touchscreen display. A 20 MP camera works with an 8 MP selfie shooter to collect loads of memorable photos to stack in your gallery. A 6 GB RAM and Android Nougat OS runs inside the compact glass body. You are offered 3200 mAh battery that can easily last for a day. Check out the 10 best cases for Huawei Honor 9 in this list below! This is a premium quality thermoplastic urethane case by ZhaoCo made to fit Huawei Honor 9. The clear back cover showcases the phone’s original reflective look and feel. Your device is defended from everyday bumps, scratches, dust, and fingerprints to showcase its flair. The shock absorbing and shock resistant premium quality TPU material protects your unit well. This is an ultra-slim and shock proof silicone cover case for Huawei Honor 9. Precise cutouts allow easy access to all functions without removing the case. Your device is protected from scratches, dirt, shocks, and other daily damages. It is made easy-to-install, and the vibrant color enhances the look of your phone without making it bulky. The corners are air-cushioned to offer enhanced protection to these most vulnerable parts of your phone. 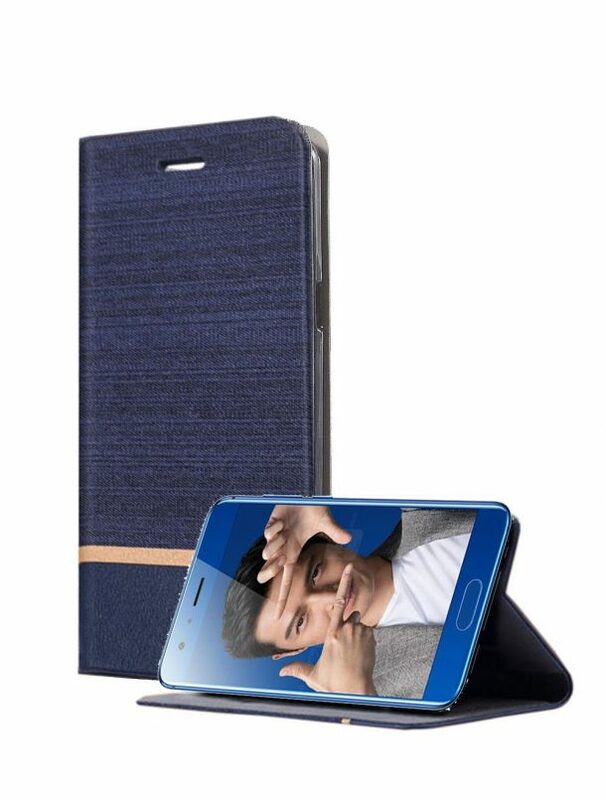 This is a full-coverage folio-styled flip cover case that allows hands-free viewing for watching media or for a video chat (at 45, 60 and 80 viewing angles). The defender offers maximum protection from drops, shocks, bumps, scratches, and scrapes while protecting both front and the back of your device. The flap is made non-magnetic to provide no hindrance to the working of the device. Precise cutouts are made for all phone’s functionalities. Made compatible with Huawei Honor 9, this wallet-styled case is made from premium quality PU leather that offers a comfortable hand hold. The unit is interiorly lined with soft fabric that prevents scratches, scrapes, dust, and debris from housing on your device. This case can also act as a portable wallet for the storage of your most important credit/identification cards. The user-friendly design with precise cutouts allows easy access to all buttons, camera, speakers, and connectors without removing the case. This back cover case by Daymondy is made from a combination of aluminum metal frame and acrylic polycarbonate back. The comfortable and lightweight design protects your device without adding any additional bulk. The carbon fiber design makes the unit anti-fingerprint, anti-slip, and stain-resistant. Precise cut-outs allow easy access to all control buttons, ports, and camera. This case surrounds the phone from all edges and corners and offers full-body protection to your device. The front flap is interiorly lined with a soft fabric that prevents scratches and scrapes from housing on your device’s display. A PC hard shell holds your phone while keeping it pristine and clear. Precise cutouts enable access to all phone’s functionalities. Available in various pretty colors for you to buy! Keep your phone fully protected and in style with Spigen’s back cover case that features glossy accents and carbon fiber textures. The flexible TPU case with interior spider-web pattern holds your phone snugly and allows air to pass through to prevent over-heating. Air-cushion technology allows for shock absorption. Also, the tactile buttons offer a solid feedback and easy press. The exact fit makes the unit light and pleasant to hold. Made compatible with Huawei Honor 9, this case is manufactured using premium quality thermoplastic urethane. Precise cutouts allow easy access to all ports, buttons, and controls. Your phone is protected from scratches, scrapes, dust, debris, daily wear, and tear. Flexible TPU enables an easy installation and removal. Light, easy to carry, and preserves the phone’s original look and feel. Made from imported environment-friendly polycarbonate, this is a back cover case made using highly precise injection molding machine. Each slot is accurately made for ease of operation and ergonomic experience. The use of advanced UV fuel injection technology makes the case difficult to break without any deformation. The bump-texture on the surface makes the unit anti-slip, anti-fingerprint, and easy to clean. 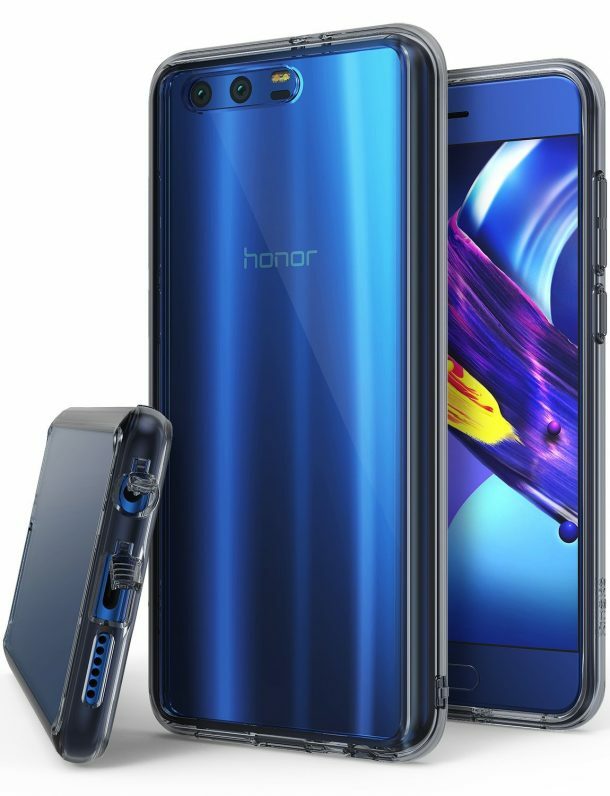 Made to enhance the reflective body of the Honor 9, this is an ultra-clear back cover case. With its advanced 2x tough coating, it enhances the original look of Huawei Honor 9 with minimal bulk. The slim and transparent TPU bumper with Active Touch Technology allows easy access to all ports and buttons. The flexible premium edges cover all the corners, and the tapered lips lift the unit off flat surfaces for protection against daily abuse. Dual active coverage includes inner corner cushions to protect the phone from drops while offering ultimate slimness. Available in transparent, rose gold crystal, and ink black colors also.